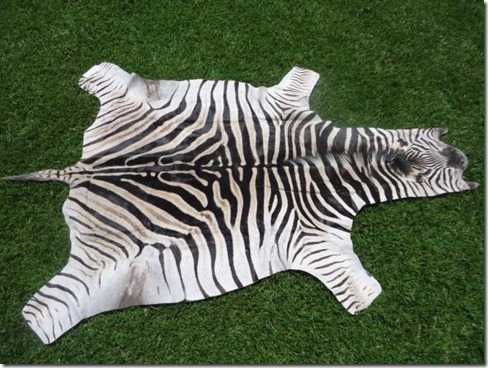 A top quality African Zebra Burchell hide that originates from South Africa. 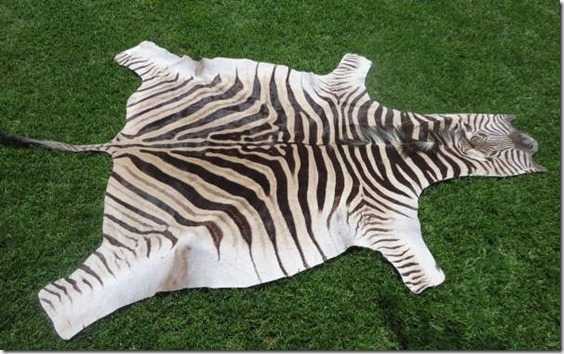 We hand select our Zebra hides so that you receive only top quality graded Zebra hides. 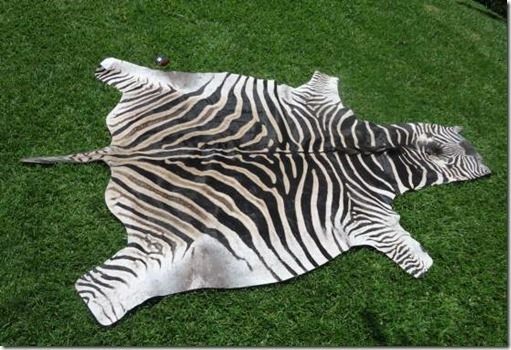 All our Burchell Zebra hides have been tanned at one of South African leading tanneries to a soft and supple tan which is ideal for all home decor and upholstery. The quality of tanning is far superior to other African countries that often use what is called a rough tan that leave the skin more hard and ridged. 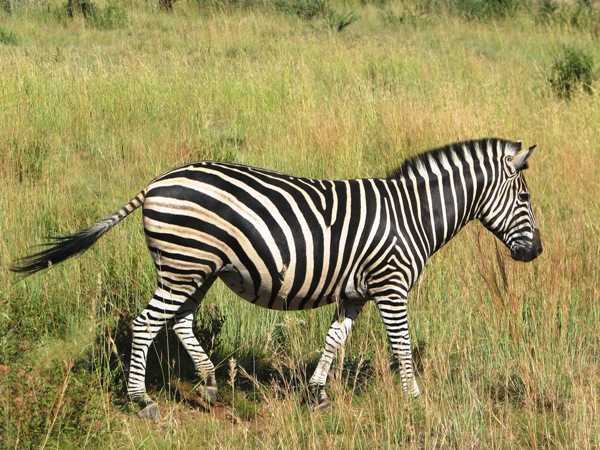 This African Zebra roams in most South African game reserves. 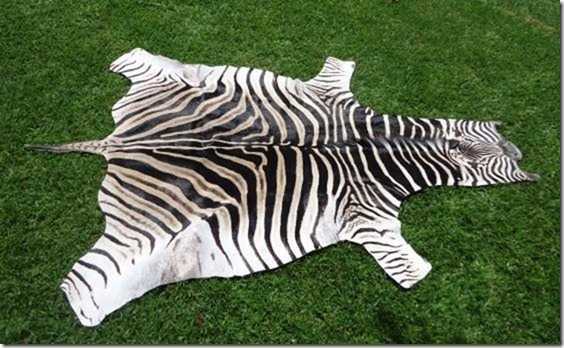 African Zebra pelts are obtained during the culling season in South Africa and all African Zebra hides are CITES approved to ensure that there has been no illegal culling or poaching of these pelts. 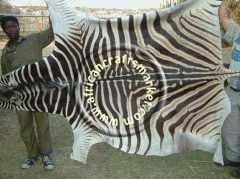 In South Africa we have a few varieties of Zebra hides and the one that we sell is the Burchell Zebra. Other Zebra that we have is the Hartmann Zebra and the Cape mountain zebra. 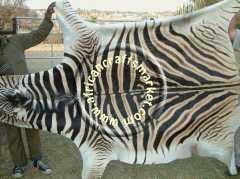 We obtain all permits needed to get the African Zebra hide into your country. The price of the permit is included in the shipping cost. 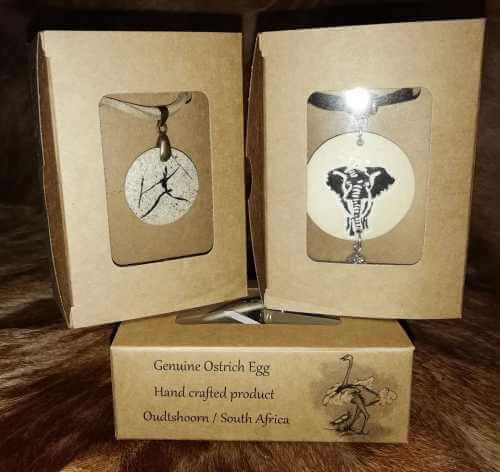 We are registered with KZN Wildlife in South Africa, our local conservation authorities in our area, so you can be assured that you are buying a legal hide. Read our KZN Wildlife letter. All sizes listed are approximate. 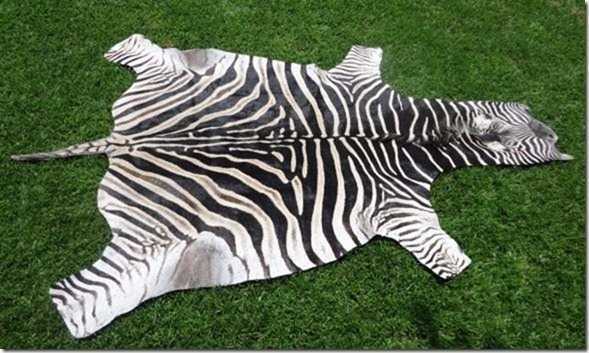 The African Zebra animals pelt/hides you purchase and receive may differ just slightly in size, look, and/or pattern from the Zebra pelt shown in the picture because of the nature Zebra animals hides patterns each one is unique. 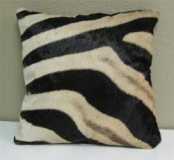 You can choose to have the Zebra hides with or without felt backing. 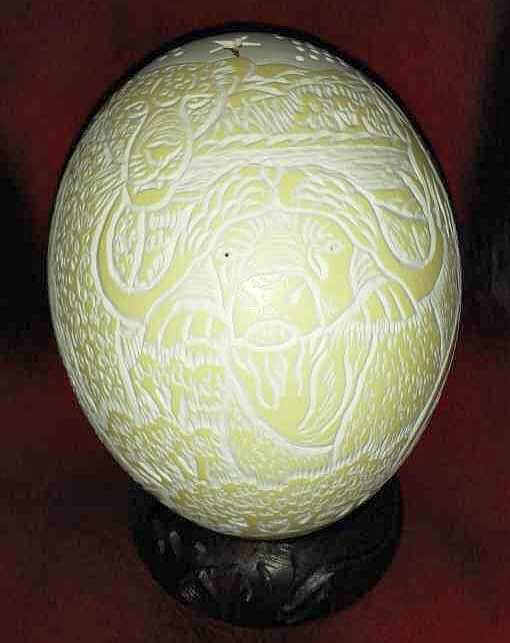 If you are looking for other African game skins return to our main African animal hide page. How we measure our hides: We measure our hides from tip of noise to end of rump and across belly. We do not include the tail size in our measurements or the widest legs width. 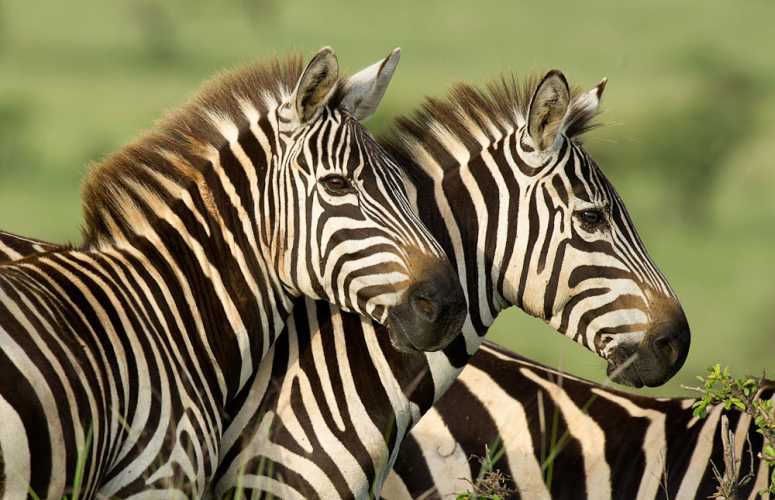 Black and white stripes make the zebra one of the most recognizable animals in the world. The plains zebra, also known as the Burchell zebra, is the most abundant of three species of zebra, inhabiting the grasslands of eastern and southern Africa. The other two species are Grevy’s zebras and mountain zebras. Zebras have shiny coats that dissipate over 70 percent of incoming heat, and some scientists believe the stripes help the animals withstand intense solar radiation. The black and white stripes are a form of camouflage called disruptive coloration that breaks up the outline of the body. Although the pattern is visible during daytime, at dawn or in the evening when their predators are most active, zebras look indistinct and may confuse predators by distorting true distance. Zebras are social animals that spend time in herds. They graze together, primarily on grass, and even groom one another. Plains (Burchell's) zebras are the most common species. They live in small family groups consisting of a male (stallion), several females, and their young. These units may combine with others to form awe-inspiring herds thousands of head strong, but family members will remain close within the herd. 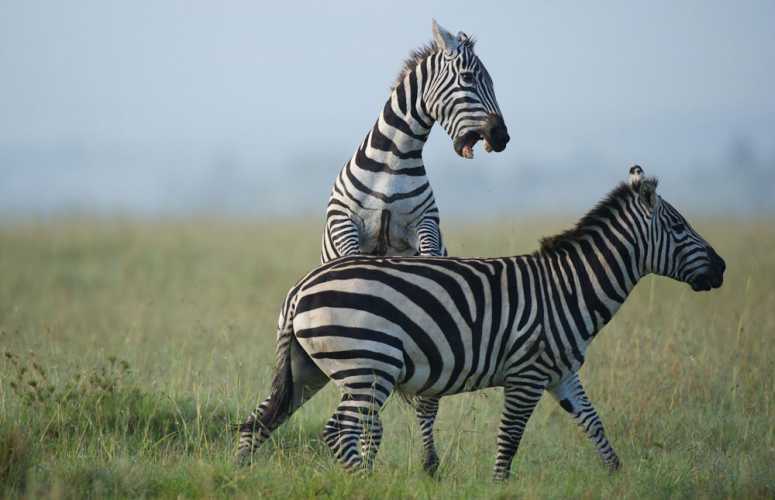 Zebras must be constantly wary of lions and hyenas. A herd has many eyes alert to danger. If an animal is attacked, its family will come to its defense, circling the wounded zebra and attempting to drive off predators.